The Library has recently taken out membership to Open Book Publishers (OBP). OBP are an open access publisher, primarily for humanities and social sciences but now expanding into other disciplines. Further info. about their vision can be found here. Currently there are 63 books available with a further 12-18 to be published during the next 12 months. A list of the e-books currently available can be found here. New titles will be added to DiscoverEd. 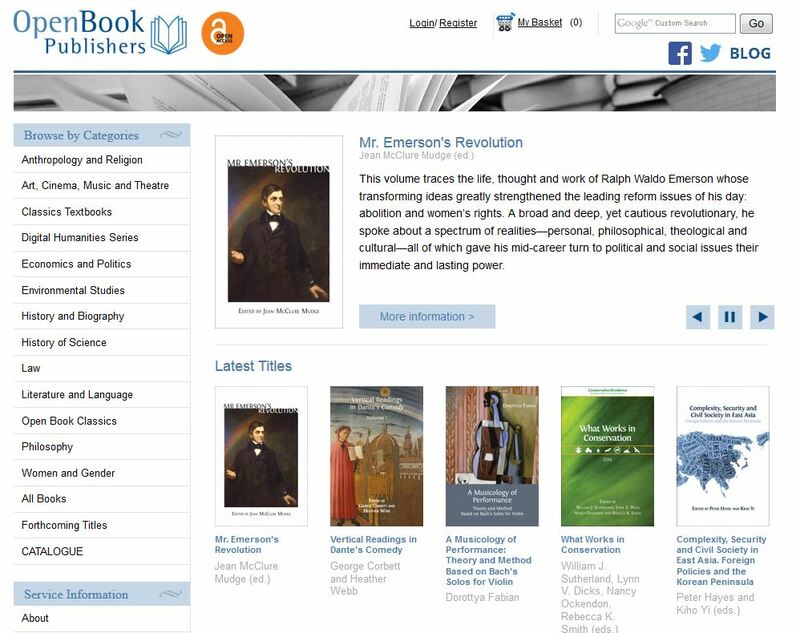 Library membership provides students/staff and alumni with the right to freely download any digital edition format of any title from their website. Library Membership also provides a 15% discount (to staff/student/alumni) on any printed edition of their titles, purchased from their website. This entry was posted in New e-resources and tagged e-books, Humanities, Open Access, Social Sciences on September 25, 2015 by eresources.